Bryan Orihel is a native San Antonion and avid Spurs fan. Bryan graduated from Clark High School and attended the University of Texas at Austin where he graduated with a Bachelor of Arts in Government and a Minor in Business Foundations. Bryan then attended St. Mary's School of Law in San Antonio and graduated with a Juris Doctorate in 2011. During this time Bryan studied International Comparative Law at the prestigious University of Innsbruck in Innsbruck, Austria, which was taught by the current Supreme Court Justice Samuel Alito. Since joining the firm in 2012, Bryan has gained significant trial experience in Bexar, Comal, Kerr, Kinney, and several other counties around South Texas. 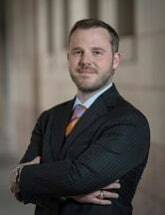 Bryan is currently a member of the Texas Bar Association, San Antonio Criminal Defense Lawyers Association, Texas Criminal Defense Lawyer's Association, the DUI Defense Lawyers Association (DUIDLA), the Texas DWI Defense Lawyer's Association (TDDLA), and the National College for DUI Defense. His special area of practice is with DWI Defense, especially with DWI Blood cases. With the specific training and certifications Bryan has received, he has been able to develop into one of the top DWI Defense lawyers in the city and was featured as one of the Top DWI attorneys in San Antonio Scene Magazine from 2014 to 2018. 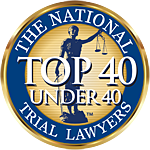 Bryan was also voted one of the Top 30 Criminal Defense Attorneys in San Antonio in San Antonio Scene Magazine 2015 and 2017. Bryan is a Certified Practitioner of the National Highway Traffic Safety Administration's Standardized Field Sobriety Tests and has been able to get favorable decisions for our clients by Judges who found the officer demonstrated or graded the sobriety tests incorrectly. Bryan has attended multiple DWI seminars to update his knowledge and training in DWI cases such as the Stuart Kinard Memorial Advanced DWI Seminar in 2013, Forensic Toxicology for Attorneys 2013, and DWI: The Future in 2014. Bryan has also completed the Through this training and continuing legal education Bryan has been able to keep up with the current DWI trends including being able to efficiently defend the increasing DWI blood draw cases. With his experience and training, Bryan has successfully suppressed Blood and Breath Test evidence on multiple occasions that could have been used against his clients. His legal education has also allowed him to become very familiar with the practices of forensic chromatography and blood alcohol analysis that is being used more and more in the DWI field, including hands on training with the Perkin Elmer Claris 500 Gas Chromatograph machine.